Keeping product loss to a minimum and increasing the efficiency of production processes are essential for any manufacturer. Within confectionery manufacturing processes, raw materials such as sugar are often reclaimed for reuse. 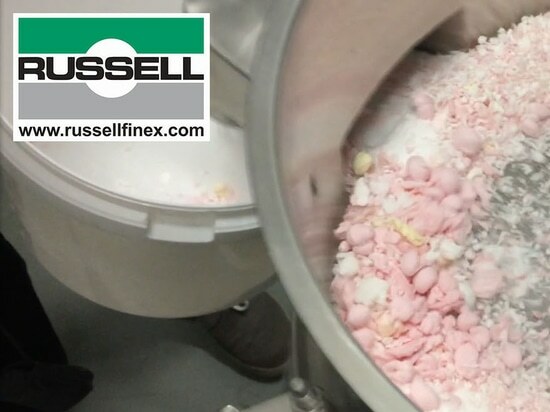 This demonstration video shows how redundant pieces of marshmallow are sieved with the Russell Compact Sieve® vibratory sifter to recover sugar. These particular marshmallow pieces have coconut shreds and sugar on them, and therefore requires a two-stage sifting process. This application is typically done by grading sieves such as the Finex Separator™, however in this case the customer had limited headroom and required this two stage process in two separate locations. 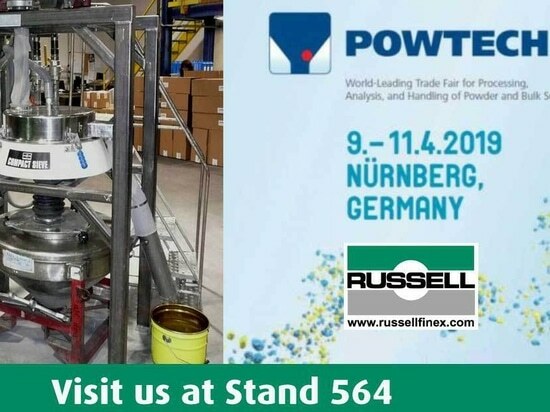 The customer also wanted the quick release tool free features offered by the Russell Compact Sieve® for fast and effective cleaning. Firstly the product is screened on a mesh frame with large apertures to remove the larger pieces of marshmallow, while coconut shreds, sugar and smaller pieces of marshmallow go through the mesh. The second screening process uses a finer mesh in order to remove the coconut shreds and remaining marshmallow pieces, reclaiming sugar which is free from any contamination and ready for reuse. The Russell Compact Sieve® is a versatile vibratory screener and with its straight through design and low height can simply be installed in existing or new production lines. The minimal contact parts of the Russell Compact Sieve® ensure the machine can thoroughly be cleaned. 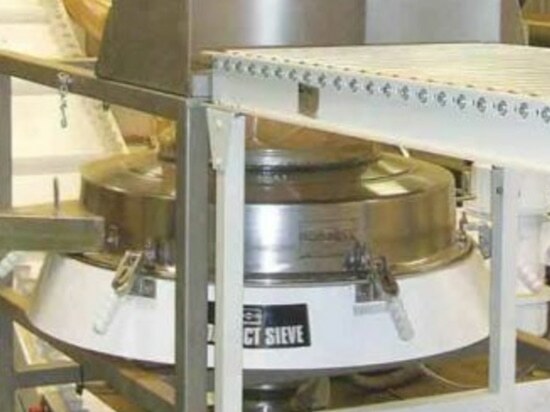 This vibratory sieve features easy assembly and disassembly without the need for tools, keeping the time needed to clean the machine to a minimum. This means production stoppages and downtime are kept as short as possible. 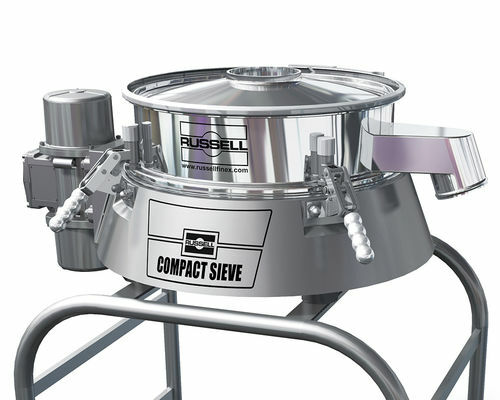 The Russell Compact Sieve® and other Russell separation equipment have been used in numerous food applications around the world. Russell equipment can be used as a vibratory sifter for icing sugar powder, crystal & raw sugar, as well as screening a wide range of food ingredients. Read our food case studies and watch other food processing industry trials to find out how we can help with improving production efficiency and reducing product wastage. Russell Finex has 85 years of experience providing separation solutions to all industries. Contact Russell Finex to explore all the sieving and filtration solutions available to optimize your food processing lines.